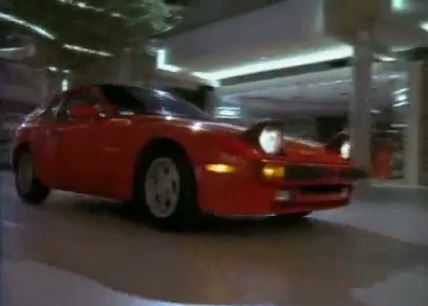 What’s goin’ down: A Porsche is stolen from its display inside the mall. This is part of a bigger problem of thefts and shoplifting after inner-city kids are bused to a school in a more affluent neighborhood. Which side of the tracks is the thief from? Here’s Hanson: To help crack the case, Hanson and Penhall return to their cover as the troublemaking McQuaid brothers, the hard-fightingest, rabble-rousingist dudes in school. They establish their “cred” on the first day by tossing the school bus driver off the bus and driving everyone to class themselves. Penhall’s prerogatives: A wimpy kid offers Penhall (in his McQuaid guise) money in exchange for protection against bullies. He says no at first, but eventually comes around, finding all kinds of creative ways to humiliate the bully. Now THAT’S how you make an entrance. Undercover blues: Lots of subplots in this one. We also have to deal with a studious kid being abused by his dad, and Hoffs receiving gifts from a teen secret admirer. Goin’ to the chapel: The layout of the Jump Street chapel continues to baffle me. One scene has the main characters chatting at their lockers, and then sliding down a pole into the main area of the chapel. Later, there’s a good look at the chapel’s holding cell, where the bars are painted white, red, and black stripes. Who designed this place? 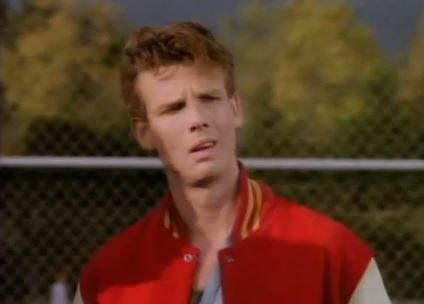 Trivia time: That’s Peter Berg, the director of Battleship, acting on screen as the bully. William Davis, famous for his role as the Cigarette-Smoking Man in The X-Files returns as a teacher, but a different teacher than the one he played last season. 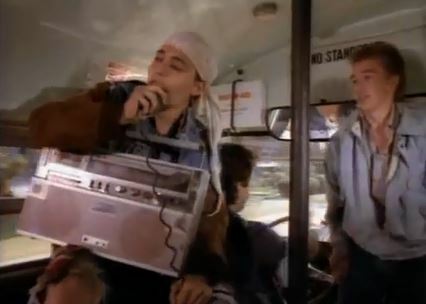 Torn from today’s headlines: The “school busing” issue is introduced and then quickly forgotten, as there’s really no way to tell which kids are the rich ones and which are the inner-city ones. Jumpin’ or not? This one’s a fun whodunit, finding a nice balance between goofy humor, teen melodrama, and crime caper. Basically, it’s everything you think of when you think of 21 Jump Street. It’s jumpin’. Next week: Church versus state.